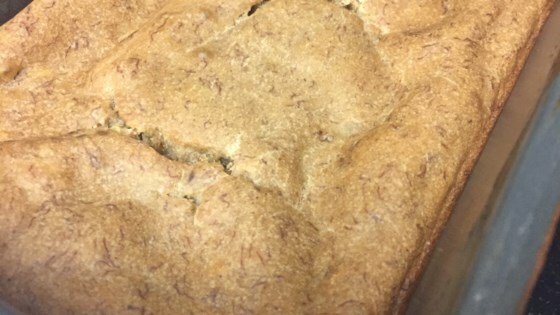 "This is a yummy sugar-free, dairy-free banana bread! Very quick and easy." I made this with honey substituting the stevia. It turned out great. I also used only regular flour because I didn’t have rice flour. I omitted the nuts and added some spices to my taste.